A hernia (rupture) is usually noticed as a lump, commonly in the groin or the umbilical region. It appears when a portion of the tissue which lines the abdominal cavity (peritoneum) breaks through a weakened area of the abdominal wall. This can give rise to discomfort as the hernia enlarges and can sometimes be dangerous if a piece of intestine becomes trapped ('strangulated') inside. Hernias are common. They can affect men, women and children at any age. Some people are born with weak abdominal muscles and may be more likely to get a hernia. A hernia occurs when an organ or tissue squeezes through a hole or a weak spot in a surrounding muscle or connective tissue called fascia. 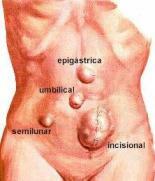 The surgical treatment for hernia is relatively simple. The hernia is pushed back into the abdominal cavity. The muscle lying on top of the hernia is then sewed back into place. 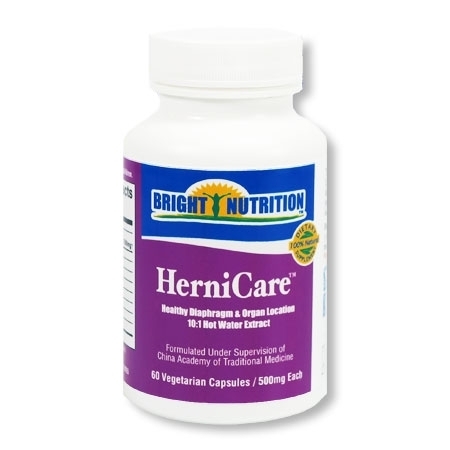 If necessary, additional support may be added to keep the hernia in place. If a hernia is not treated, severe complications can result. Part of the intestine can become trapped outside the muscles of the abdomen. A blockage in the intestine may develop. In the worst cases, this blockage can cut off the blood supply to the intestine. Part of the intestine may actually die. For small, non-strangulated and non-incarcerated hernias, various supports and trusses may offer temporary, symptomatic relief. However, the best treatment is herniorrhaphy (surgical closure or repair of the muscle wall through which the hernia protrudes). When the weakened area is very large, some strong synthetic material may be sewn over the defect to reinforce the weak area. Postoperative care involves protecting the patient from respiratory infections that might cause coughing or sneezing, which would strain the suture line. Recovery is usually quick and complete.